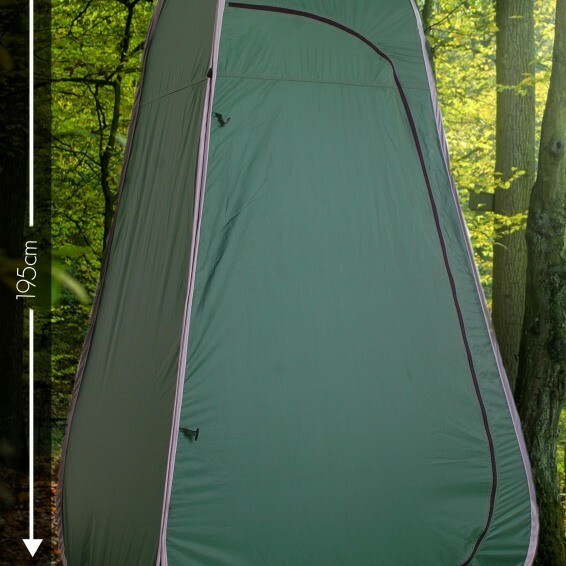 Pop up toilet tent with detachable base, internal mesh pocket,window,corner fixings, guy rope fixings,guy ropes, eight tent pegs,two velcro support hooks,velcro roof support rail and carry case. Base : 110cm Tall: 190 cm. Carry case 60 cm Diameter.